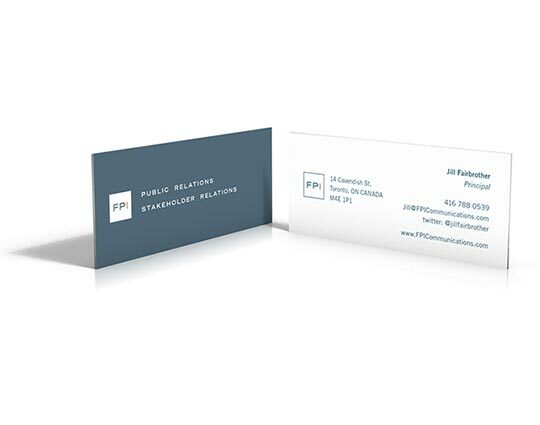 FPI Communications is a Toronto based PR firm providing strategic communications counsel for organizations facing challenges, opportunities and change. government communications and, Health and wellness industries. The business cards use a specialty felt paper that adds an extra personal touch which reinforces the personal care that each client receives.